Welcome to our website – The Mulberry House Beauty Salon Wakefield. We are based in East Ardsley (WF3) which is just off Bradford Road (which leads to Tingley & Morley) behind the Bay Horse Pub. Our Beauty Salon provides a wide range of luxury beauty treatments such as Decleor Facials, Decleor Massage, Pedicures, Manicures, Jessica GELeration, Acrylic Nail Extensions, Bio Sculpture Gel Nails, Waxing, Eyelash Tinting, Eyebrow Tinting, Spray Tanning, Sothy’s Make Up and more!! The Mulberry House Beauty Salon team have gone the extra mile to bring you a luxury spa experience, with three premium facial and massage beauty salon treatment rooms, a fantastic bespoke pedicure station and three Manicure stations. In addition to all your beauty services, The Mulberry House has a dedicated Hairdressers adjoining the salon. So what every your pampering needs, The Mulberry House Beauty Salon is the perfect solution! Get in touch with the salon today to make an appointment and one of our team will be in touch very soon! Alternatively you can contact the salon direct on 01924 724004. Finally, we are here to pamper you! Treat yourself, you deserve it! Beauty Salon treatments galore! Whether its Acrylic Nail Extensions, Pedicures, Waxing or a little pampering with an Aromatherapy Full Body Massage or detoxifying Decleor Facial, there is a little something for everybody in our beauty salon price list. Take a look through our online gallery of The Mulberry House Beauty Salon Wakefield which includes 3 treatment rooms, 3 nail stations & also an amazing luxurious pedicure station. We also have a range of images of our work to provide some nail design inspiration. Coming soon! We are working hard to put together some fantastic pamper packages for you to choose from. Also, keep an eye out for our amazing pamper suite which will be offering the ultimate Beauty Salon Wakefield pamper experience! To arrange an appointment you can call the salon on 01924 724004 or you can fill out our online enquiry form and we will be in touch shortly to book you in. Catherine is the Mulberry House Beauty Salon owner and has over 17 years experience in the industry. She has worked in high end Beauty Salons in Wakefield and is now pulling on that experience to make The Mulberry House the Beauty Salon of choice for pampering and relaxation. Furthermore, Catherine is trained to a high standard in Decleor Body treatments, Acrylic Nails, Bio-Gel Nails and Waxing, Catherine offers a wide range of beauty treatments. She is a caring and thoughtful Beauty Therapist, whilst also working to a high standard for all your beauty needs. Catherine looks forwards to meeting all clients old and new to the salon. 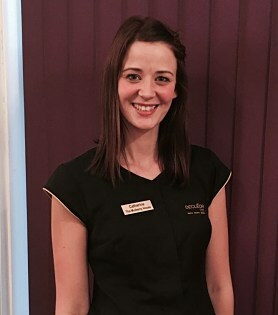 Emily is our Senior Beauty Therapist and has over 4 years experience within a Spa at Tankersley Manor. She comes to us with a great mind for managerial techniques and a good attitude towards clients and their needs. Trained in ESPA Body, Face and Advance Anti-ageing treatments, she enjoys facials and massages and always get brilliant reviews from clients when it comes to these treatments. Obtaining the highest standards when it comes to client treatments is very important to Emily, who is also responsible for the smooth running of the salon. Emily is a creative, professional and friendly member of our team, and looks forward to growing into a managerial role within the salon. 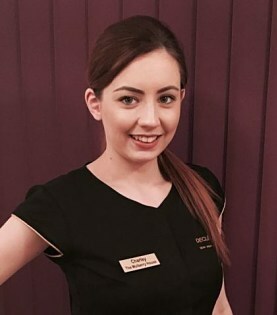 Charley is a highly regarded and experienced beauty therapist, having gained valueable experience working at Titanic Spa. She has a creative mind when it comes to beauty and a real passion for Manicures, Pedicures and Nail enhancements. She is a perfectionist and works to a high standard, always going above and beyond, she has a natural ability in making clients feel at ease. 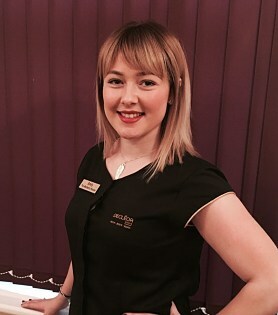 Charley is trained in Acrylic Nails & all Decleor Body treatments. She is a fun-loving talkative member of our team, and therfore will always make you feel special. 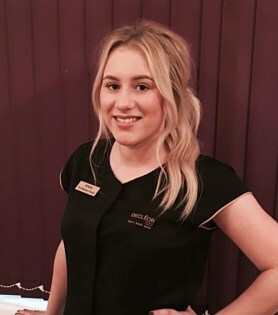 Amelia has 2 years beauty experience & joins us from completing her NVQ Level 3 in Beauty Therapy where she was awarded student of the year both years running for her advance level of beauty by her college professionals. Whilst she may be youngest member of our team, Amelia has lots of creative new ideas and already demonstrates expertise beyond her years. In addition, she is trained in Decleor Body, Facials and Advanced Anti-ageing techniques. Covering all aspects of beauty to high standard, her favourite treatments include Facials, Jessica Manicures and Jessica Pedicures, but loves every part of all treatments she does. Amelia is a bubbly and outgoing member of our team, and looks forward to meeting all new clients with a smile.